Bisotun Water Pitcher, Copper Handle, 76 fl oz. 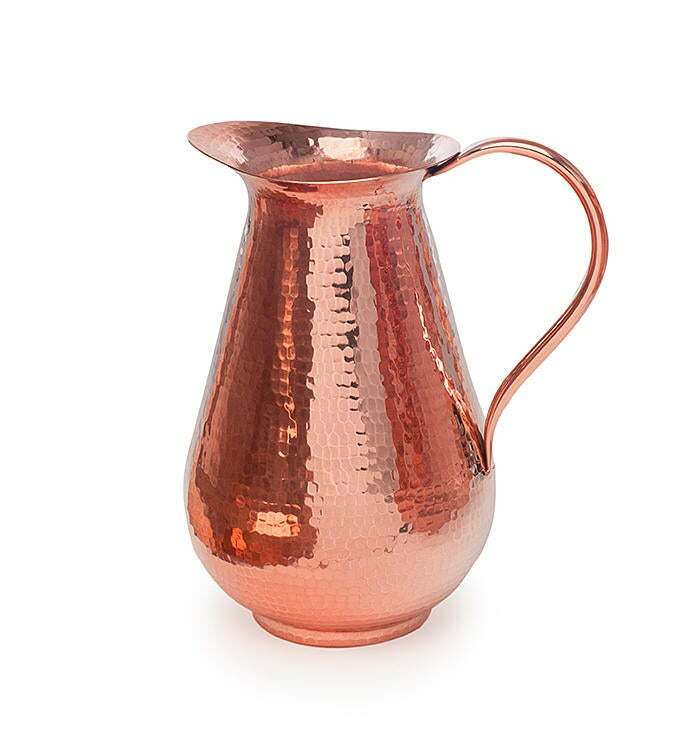 Our hammered copper Bisotun Water Pitcher brings the ancient tradition of copper water vessels to your table. Traditionally prized for copper, unique properties of purification, healing and keeping water cool, our pitcher adds elegance and health to our planet's most precious resource. 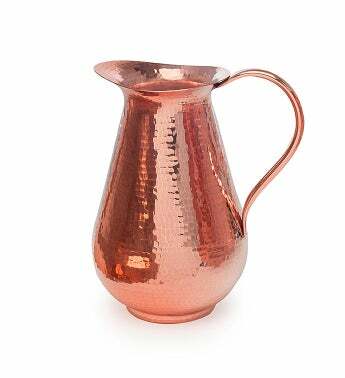 In the Ayurvedic tradition of storing water in a copper vessel for health benefits, this pitcher is made to make you feel good. 76 ounce capacity. Our hammer polish beats shine, beauty and durability into every piece. Heavy gauge, pure copper from 100% recycled sources. Copper handle tig welded to the body.